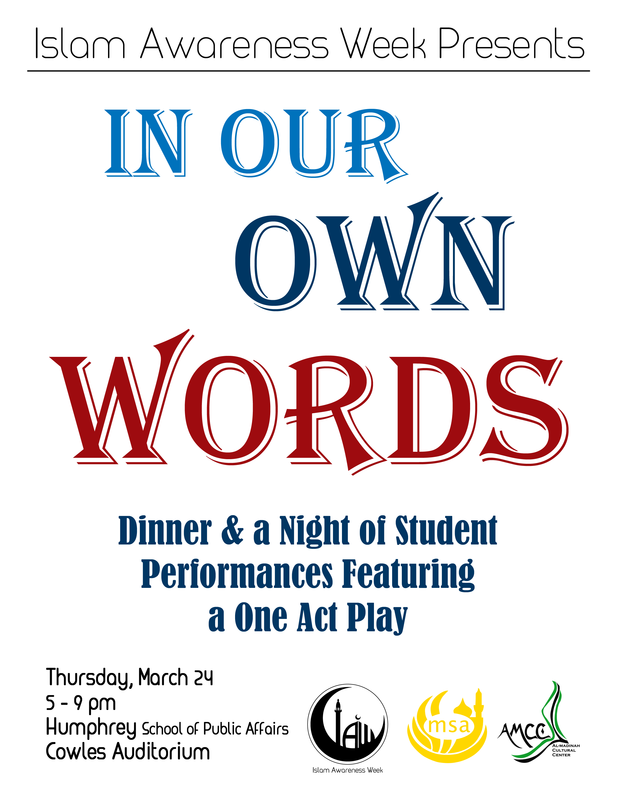 Join us today at 5:00pm in the Humphrey Center Cowles Auditorium for our final event of the week: a play! Written and acted out by our very own Muslim members of the community, it will elucidate the everyday aspects of Muslim life. It’s definitely not an event to miss! We will be enacting situations familiar to people in the Muslims in the community so that others have a chance to see what kind of life other Muslims live.